When Sharon and I visited Yosemite in 2009, I was irked that I couldn't find this historical marker. I spotted it right away when Jack, Sharon and I stopped at the Visit Center on this trip. 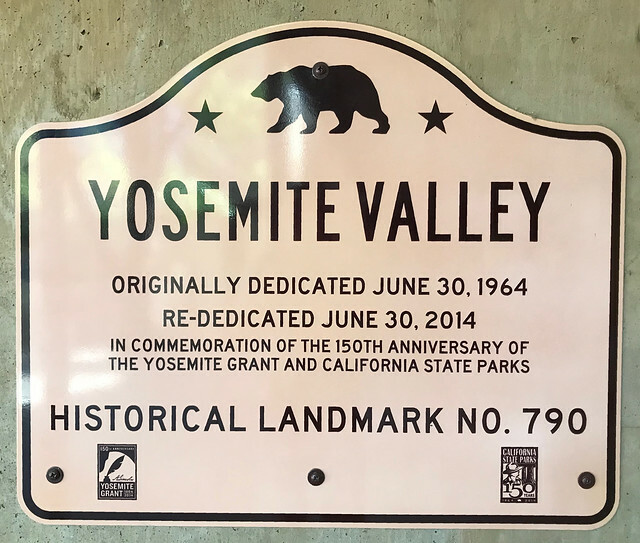 This landmark is mounted on entrance wall of auditorium building at the Visitor Center in Yosemite National Park. 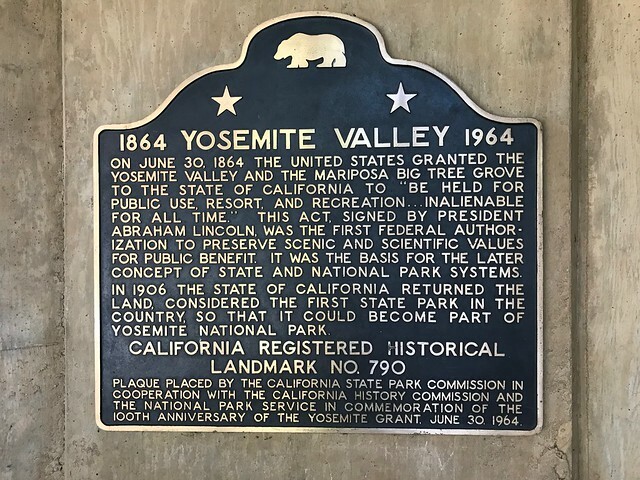 There are 7 other California State Historical Landmarks in Mariposa County. The GPS coordinates for this location are 37° 44' 55.7" N 119° 35' 14.2" W.